Can you tell us a little about your latest book, Dialing Dreams? 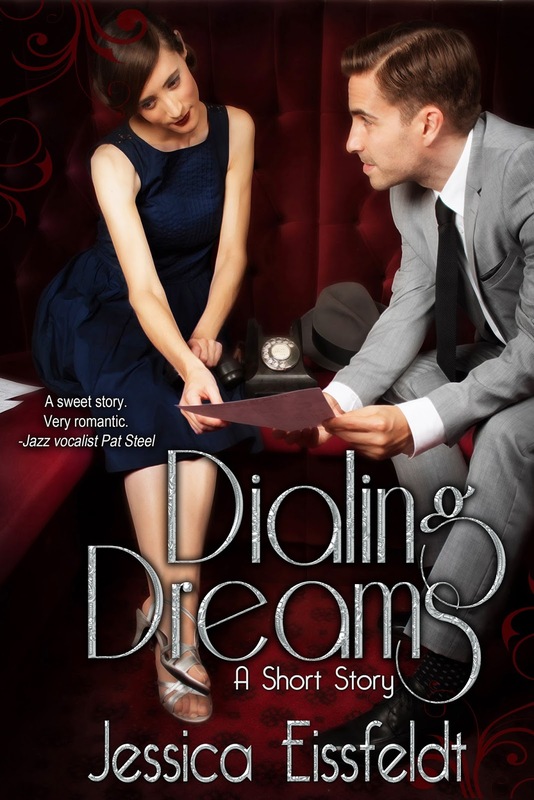 Dialing Dreams is a 1940s jazz-inspired short romance of 35 pages, inspired by my love of the jazz genre and the 1940s. It's set in 1946 San Francisco and is about a jazz singer and a telephone operator. I was inspired by Matt Dusk's "Operator, Please" song. Every time I listened to it, I kept seeing a man standing in a phone booth at midnight in the rain, pouring his heart out to a telephone operator on the other end of the line. So I began to write the story that I saw behind the song. Great question! After I finished the story, I knew I wanted the cover to represent the characters and the story as closely as possible. I had a specific scene from the story in mind that I wanted to appear on the cover, and so I went about doing a photo shoot for the cover that included not only items from the story (sheet music, a fedora, a telephone), but it was also shot in a restaurant, which is where the scene I wanted to represent, takes place. If Dialing Dreams was made into a movie, who would you like to play the main characters? If Dialing Dreams was made into a movie, I'd like James Wolk to play Nick Hart. And, well, I love being creative, so I think it'd be fun to play the heroine, Belinda Thompson, myself. What is it about the romance genre that appeals to you so much? I think that for me, the romance genre appeals because it reaffirms people's hope and faith in the good things in life; that love can heal and the power of words to touch people's hearts and uplift them. How have jazz music and classic movies influenced you as an author? Jazz music and classic movies have influenced me as an author because they have given me a way to see art; my own and others', whether it be songs or stories. Jazz music, to me, feels so alive and full of richness and depth, and I want to convey that to readers of my stories. And classic movies, well, there's such a subtlety and classiness to them; they're really windows into another time and place, which is, again, something I wanted to come across in Dialing Dreams. After I read 'The Artist's Way' by Julia Cameron, I knew it was safe for me to pursue my dream of being an author. That book allowed me to give myself permission to go for it. I keep a notebook and whenever I hear an interesting name, I jot it down. Or sometimes, with certain stories, character names just drift into my mind - I don't have to think of them, they simply are given to me. Name one of your all-time favourite romance novels? When it's nice outside, I'll go outdoors. Otherwise, I sit inside on my couch. Jane Austen and Sophie Kinsella. In Canada, it can get down to minus 40 degrees Celcius in the winter. To publish the current novel I'm working on at the moment. One of the things on my bucket list is getting to swim with dolphins. 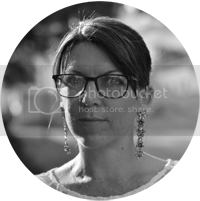 Jessica’s readers share that they are inspired most by the dreamy and nostalgic feel of her fiction and love the romantic, magical imagery. She takes inspiration for her fiction from every aspect of her life, and believes that in order to have a fulfilling artistic life, it’s best to lead a full, adventurous life. In upholding this philosophy, Jessica has been to many places in North America and has travelled in Europe, Asia and Latin America, finding inspiration for her fiction all along the way. She has released three short stories, including Dialing Dreams. She has also been a finalist in the 2014 Romantic Times Booklovers’ Convention American Idol Writing Competition. Her fiction has appeared in publications in both the U.S. and Canada. 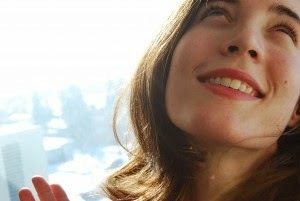 She holds a degree in English literature and journalism and lives in Canada.